After the 2017 wildfires, the Housing Authority of the City of Santa Rosa applied for and was awarded a $1.2 million CalHome Disaster Assistance grant from the California Department of Housing and Community Development. 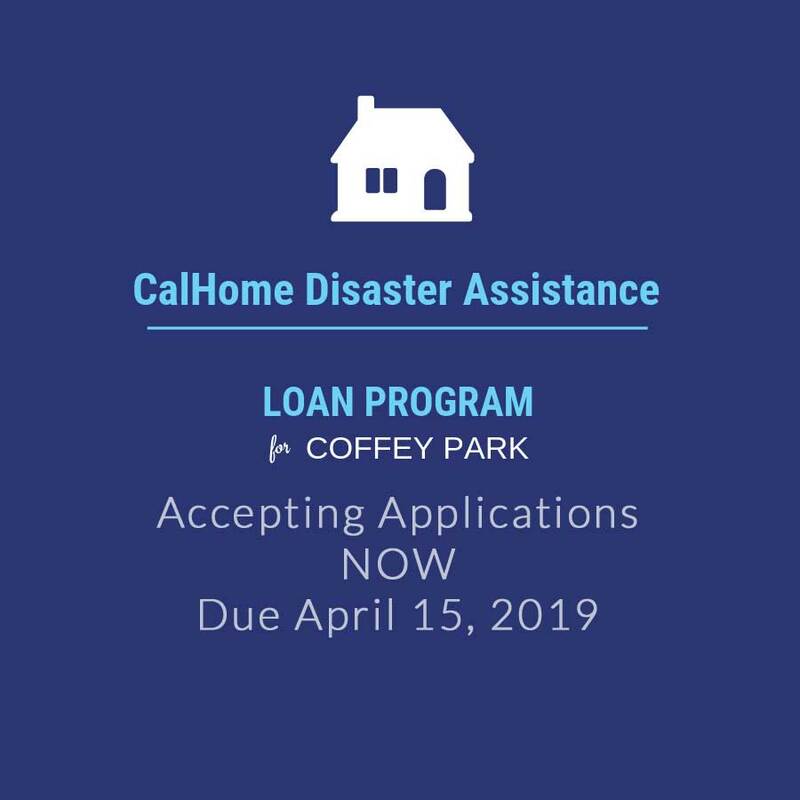 To best utilize these funds, the Housing Authority is offering low-interest, deferred payment loans as gap financing for the reconstruction or rehabilitation of income-qualified, owner‐occupied, single‐family homes located in the Coffey Park area. Eligible Coffey Park area homeowners whose homes were damaged or destroyed in the October 2017 wildfires and who have not yet begun to rebuild will be able to apply for gap funding of up to $100,000. An informational community meeting was held on Monday, March 11, 2019, at Finley Community Center. Watch a 5-minute video recording of the meeting presentation. Opens a New Window. Completed applications will be accepted starting March 18, 2019, until the deadline of April 15, 2019. Completed applications may be submitted by U.S. Mail or dropped off at the Department of Housing & Community Services, 90 Santa Rosa Ave, Santa Rosa. Applicants may apply for up to $100,000 for rehabilitation or reconstruction of their single-family home, based on the documentation provided in the application that demonstrates the gap funding needed. The loans are 30-year deferred payment loans through the Housing Authority of the City of Santa Rosa, with 3% simple interest. No payments will be required prior to the thirtieth anniversary of the loan, however, the loan will be due and payable in full prior to 30 years upon the earlier of: sale or transfer of the home; cessation of owner‐occupancy; or upon the loan maturity date. For complete terms, see the Program Guidelines Opens a New Window. .
Loans will be made on a first-come, first-served basis and made until all funds are expended. Applications will be assessed in the order received combined with the order in which the application was deemed complete. A complete application means submission of all required documents that are listed on the application. Homeowners of single-family homes in the Coffey Park area that were destroyed or damaged in 2017 wildfires. Household income no greater that 80% of Area Median Income, adjusted for household size. Reconstruction or rehabilitation of the home has not started yet. Must have owned and occupied the home before the disaster, and the home will continue to be owner’s primary residence upon completion. Click here for a list of answers to frequently asked questions. Homeowners with questions regarding the CalHome Disaster Assistance Loan Program may contact Nancy Manchester, Program Specialist in the City of Santa Rosa Housing & Community Services Department at (707) 543-4339.